In 1965... Ted Griffin paid a fisherman $8,000 for a Northern Resident killer whale named "Namu" and launched an industry at the Seattle Public Aquarium. People from all over the world came to visit Namu; books were written, and a movie was made. Wanting to cash in on the business of performing orcas, a new company, Sea World, paid Griffin $70-100,000 USD (reports vary) for the 2nd captive killer whale, "Shamu," a Southern Resident orca. To "land" Shamu, Griffin (working with SeaWorld's Don Goldsberry) harpooned & killed Shamu's mother, delivered the calf to Sea World, and now a billion dollar industry was created. Sea World collectors would go on to capture or kill an additional ~57 Southern Residents (some winding up at other facilities)... a clan that is endangered today. Fifty years later, on 30 March 2015 and in the wake of the book Death at SeaWorld and Blackfish, John Hargrove, a former SeaWorld trainer with 12 years at the company, visited the birthplace of captivity. He came to share excerpts from Beneath the Surface, his new book that documents a journey from an enamored young kid driven to work at SeaWorld, to a senior killer whale trainer (at 3 separate facilities) and finally to animal advocate & company whistle-blower. 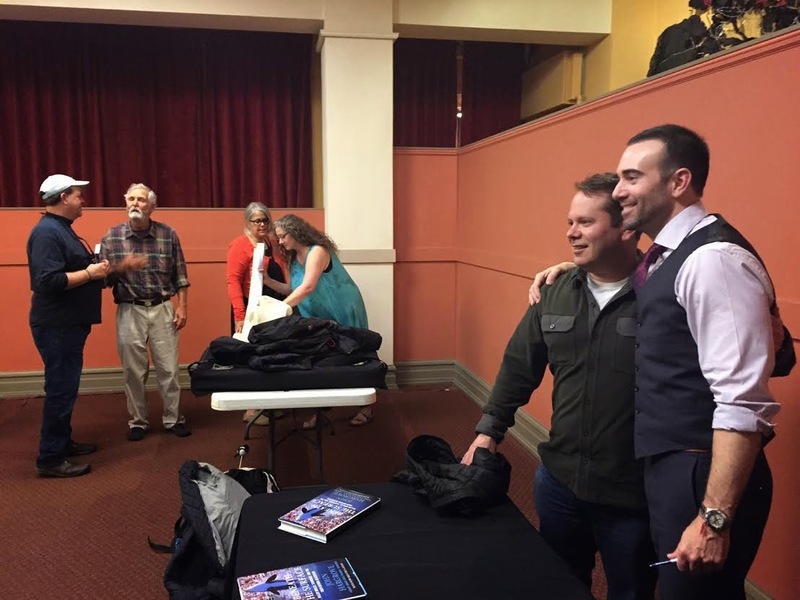 It was a sold out venue and John was flanked by Blackfish cast members, SeaShepherds, Orca Network, book authors, doctors, activists, #Superpod4 organizers, whale lovers, one heckler, camera crews and at least one of his attorneys. At the time of the Seattle event and in an attempt to redirect the topic from captivity to John's character, SeaWorld delivered a disturbing 5 year old video of its former employee, heavily intoxicated, rambling racial epithets, to various media outlets. The intention, as stated by SeaWorld spokesman Fred Jacobs, was to demonstrate the "true" character of John Hargrove and presumably to cripple him as a whistle-blower. This video shows nothing about John Hargrove’s character other than that he made a serious mistake while drunk. However, sending it to the media in an effort to discredit a former employee who has published a book critical of corporate practices does show a great deal about SeaWorld’s corporate character. It shows that this company, which has always resorted to the personal attack against its critics instead of engaging on their substantive arguments, has no ethics or morals at all. It will go right down into the mud as it desperately clings to its outdated business model. This blog wasn't created to defend John or the video he participated in. It was created to share the work that the post-SeaWorld John Hargrove is doing right now. Work that is informing the public and propelling the animal justice movement forward, and work that has SeaWorld scrambling for its very survival. Keeping our eye on the ball... The video below contains stories of growth, mistakes, humility, learning, laughs, sadness and transformation. It's an evolution that all of us at VOTO have had time to make. And it's a great preview of his book "Beneath the Surface." 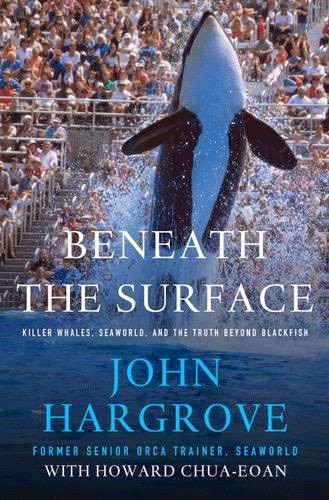 Thank you so much for posting this important John Hargrove talk in Seattle, on orca captivity, and the release of his book, 'Beneath The Surface.' John is a natural and moving speaker who brought tears to my eyes several times -- tears of sadness at the tragic and preventable events that cost humans their lives, to tears of wonder at a glimpse of the astounding intelligence of orcas, to tears of gratitude for humbly thanking the anti-captivity community for their open arms' welcome to him. I have to say, though, that my take away John Hargrove quote from Seattle is: "They [SeaWorld] don't have the power anymore. We have the power." The truth in that statement will inspire and encourage me as we move into a new, hopeful future thanks to courageous people like John, Gabriela Cowperthwaite, and the four members who have formed this amazing group called Voice of the Orcas. Thank you all. For everything! Oh, that’s pretty interesting! I loved your blog post! Well dear I am also going to attend a similar kind of event next week. My friend has arranged this event at the best event venues Seattle.